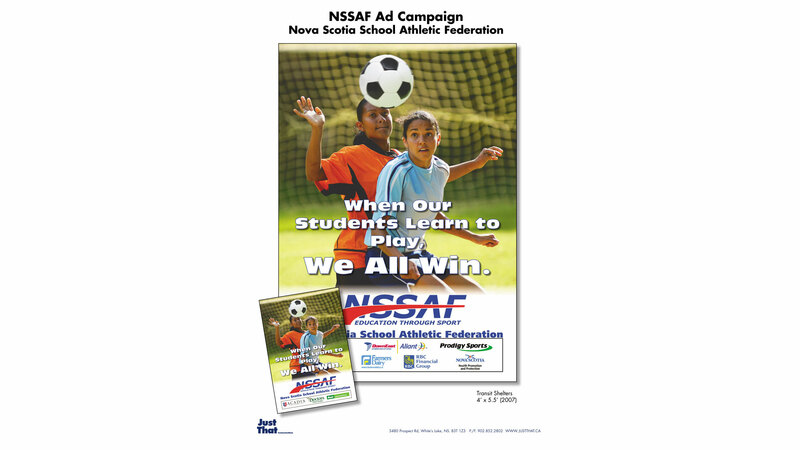 The Nova Scotia School Athletic Federation is a body within the public school system which governs all organized sport in the province. It’s main goal is to promote fair play and exercise to children under the school boards immediate supervision. The goal was to increase public awareness about NSSAFs goals. The use of the tag line “When Our Students Learn to play. We all win.” along with a photo of a popular sport and focused age demographic. The piece also reflected the local businesses which consistently sponsor the organization and it’s efforts in a thank you representation.